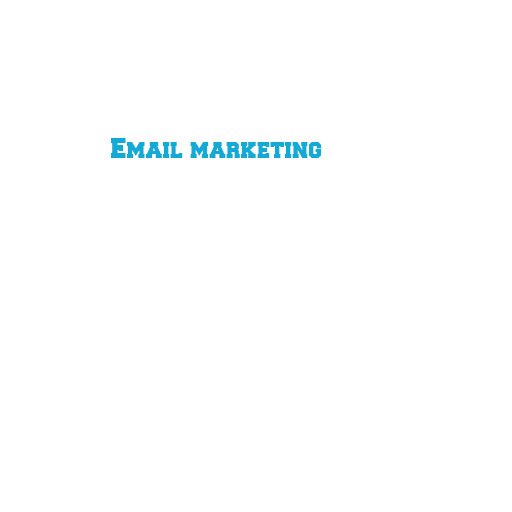 Email marketing, for all its simplicity, is one of the most difficult ways to get traffic. First you need to build a huge mailing list. There are many ways build up your mailing list. You can put a subscribe button on your website or put a plugin called contact form 7. Both these Plugins will make your website heavy. It will lower your website speed. I would suggest you avoid this. There is one more way via Facebook. It is a paid campaign to get leads, here you can get people to fill up a form, you can ask them to give their numbers or mail ids or where they are from. My next suggestion would be for you to get a custom email, do not send mails from your personal email like xxxx@gmail or @yahoo.com or @hotmail.com, if you send mails from your personal mail id, your target won’t consider you professional. There are many email providers who provide a custom email address but you need a website for it. One of which is gsuite. It is one of the best. Then there are mail automation tools like mail chimp or if you are getting a domain and hosting from Godaddy there is a tool for email marketing in Godaddy. What you can do after building your mailing list is to add it to your accounts in MailChimp or Godaddy. Then whenever you write a new blog, these tools like Mail chimp and GoDaddy’s email tool will help you to send it to your mailing lists. Both mailing automation tools are costly as they charge you per thousand customers. Hardly 1% of the mailing list will open your mail. Even if you have the catchiest subject line. Even though they have voluntarily given up their mail ids they can put your mails in the spam folder or block you completely.